Kick back and relax under the stars. The Rustic outdoor fire pit has the woodsy look you love with none of the worries about deteriorating in the outdoor air. 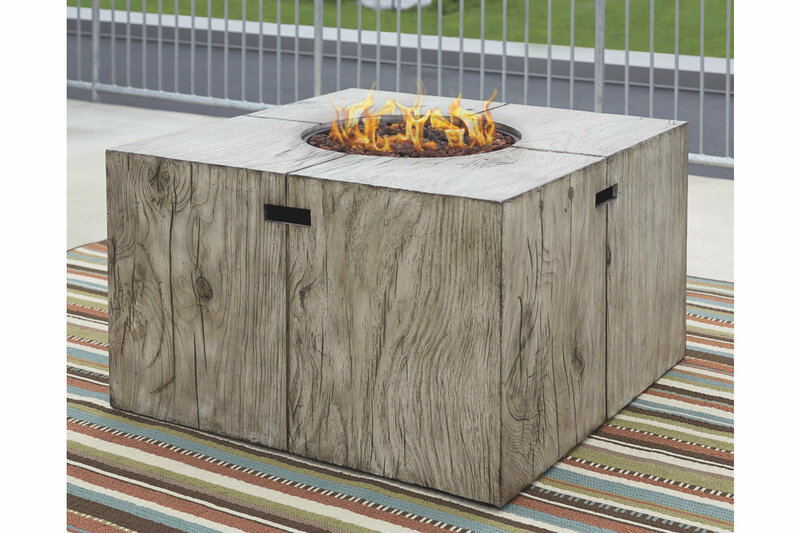 Fire pit ignites with a simple press of a button and transforms into a coffee table when capped with the included burner cover.